A Take Me for Granite customer got a full refund after she contacted the I-Team when the contractor didn't delivered or install her countertops. CHICAGO (WLS) -- An I-Team update on Customers who say they were taken for "granite" by a countertop contractor. The third customer who has been featured in recent I-Team reports shared these cashier's checks with Consumer Investigator Jason Knowles. She says she has now been refunded all of her money. In previous reports, two other customers who contacted the I-Team also said they received full refunds. 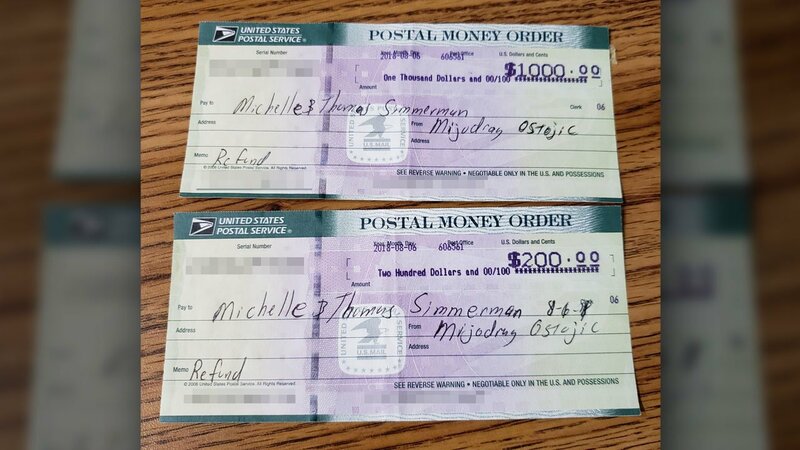 Now, Michelle Simmerman of Waukesha, Wisconsin, says Mijodrag "Mickey" Ostojic has refunded her $1,200. Simmerman says the contractor of the Chicago area company " Take Me for Granite" never delivered or installed her countertops. Customers are now getting reimbursed for countertops they paid for but never received. Ostojic was recently arrested on two warrants. In June, Ostojic didn't answer his door in the Old Irving Park neighborhood and neighbors say he recently moved - but he told the I-Team in February he was trying to pay all customers back and blamed delays on his 90-year-old mother's "health problems."